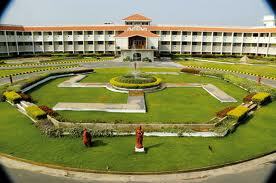 KSRCT is located in a scenic campus area of over 300 acres with a built up area of 12 lakh square feet. A combination of cutting edge infrastructure and well accomplished staff makes it a premier center for learning. In fact, it has the ninth largest intake of students (as per AICTE approval) among the self financing engineering colleges in Tamil Nadu.KSRCT has various cells for student and faculty empowerment. It has well developed facilities for a holistic learning experience. Placements: The college has an active placement cell which liaisons with the related industry and ensures interview and placement of students. It holds regular workshops on personality development resume writing and associated skill development activities.The aim of the cell is to place the students suitably in the prospective IT & Core companies. Campus: KSRCT is located in a scenic campus area of over 300 acres with a built up area of 12 lakh square feet. A combination of cutting edge infrastructure and well accomplished staff makes it a premier center for learning. In fact, it has the ninth largest intake of students (as per AICTE approval) among the self financing engineering colleges in Tamil Nadu.KSRCT has various cells for student and faculty empowerment. It has well developed facilities for a holistic learning experience.